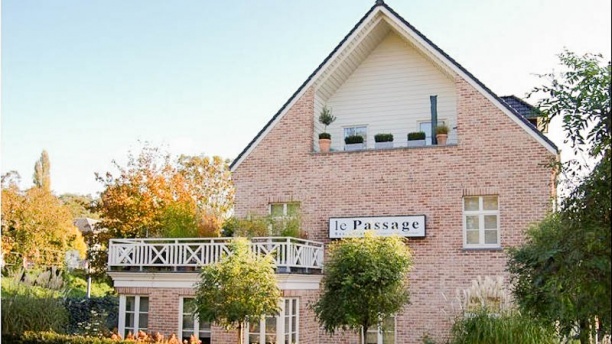 LOCATED IN UCCLE, SAINT JOB, near Fort Jaco, the restaurant Le Passage and its chef Rocky Renaud receive you all week except on Saturday and holidays in its chic and friendly decor. LUNCH at €35 consists of an appetizer, a starter and a main course of meat or fish, followed by homemade sweets. AT DINNER, TWO MENUS ARE PROPOSED, a classic menu at €55 and the evening menu at €75 with five servings. You can also choose from à la carte dishes. Very cozy atmosphere. Personnel very professional and pleasant. Very good cuisine. Very tasty. Food is just great; a real pleasure. That night it was a lit loud, but last time was alright in that regard. Food was good and the main course (steak and cod) impressive. Service was a bit of a let down with no warm welcome and practically no farewell but not bad in between! Extremely nice experience, exquisite food, very attentive personnel, personalized service. Will be back! This French restaurant delivered excellent dishes and we were always wondering what the next course will be like. Note that they do struggle a bit with English translation of the menu, but they are very friendly and genuinely tried to give explanation of every dish. Will be back. Excellent ambience for a relaxed and luxurious meal. Presentation was superb! As an English speaker only the offerings from menu were always a surprise. Nice touch tho the all French card. They went beyond. Thanks for a lovely night! A wonderful culinary experience, in an unpretentious atmosphere and a charming family house setting. If you want to enjoy fantastic food with attentive service in a simple but stylish restaurant, then this is the place. An amazing experience. Great presentation and quality of dishes but except for the desserts, rather "basic"/not creative dishes. The service was good except for the unfriendly receptionist/manager. Overall, good but not impressive.